Isiah Factor | The Insite » WHAT HAPPENED AT SAM’S BOAT IN THE WOODLANDS? WHAT HAPPENED AT SAM’S BOAT IN THE WOODLANDS? 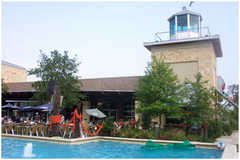 September 30, 2009 | Posted in Uncategorized | Comments Off on WHAT HAPPENED AT SAM’S BOAT IN THE WOODLANDS? SOURCE: PEOPLE WERE WALKING OUT WITH CASES OF LIQUOR AFTER THE DOORS WERE LEFT OPEN! To be honest I didn’t notice because I’ve only been to Sam’s Boat in The Woodlands once. But I’m told by a tenant in a neighboring business that it recently shut down. That person tells The Insite it was abruptly shut down, the employees walked out and literally left the door open. That person told me after the employees walked out people walked in and raided the liquor. This anonymous source says people stole cases of liquor. I actually called the Woodlands number and the phone was disconnected. I have yet to get a call from the parent company. So, I’m curious to know if anyone out there knows what happened to Sam’s Boat in the Woodlands? The Insite would like to hear the inside scoop!